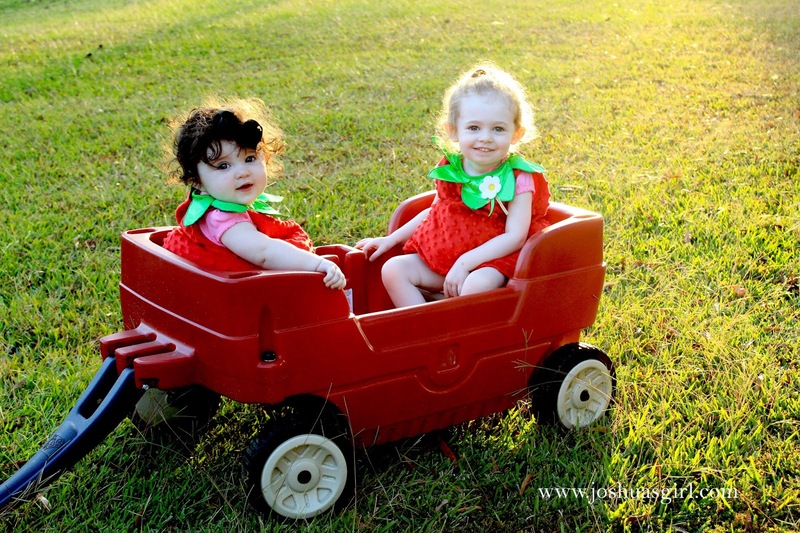 On Monday night, I dressed the girls up in matching Strawberry costumes. Evie LOVED her outfit, and I about died from the cuteness overload. I took them on a wagon ride before daddy got home. Then we headed out for an evening of candy hunting, and fun. Let's just say Evie was less than thrilled, but Ella was content to people watch.